FRANKFORT, Ky. The months of anguished pleas from parents and former addicts — Kentucky families gripped in a noxious heroin epidemic — found some resolution Tuesday as a landmark bill to improve drug treatment and clamp down on dealers won passage in the legislature. The long-negotiated compromise sailed out of the Democrat-led House on a unanimous vote and was approved by the GOP-controlled Senate 34-4. Gov. Steve Beshear is expected to sign the measure into law on Wednesday morning, allowing it to take effect immediately. "Families are going to have some hope now," said Charlotte Wethington, who lost her 23-year-old son, Casey, to a heroin overdose in 2002. "Not only is the person who is addicted hopeless and helpless, but so are the families." After months of debate, the final agreement includes modestly tougher penalties for drug traffickers along with language that will allow health departments to establish needle exchanges. Low-level traffickers: Just like under current law, selling less than two grams of heroin is still considered a Class D felony. But dealers who are caught with at least two indicators of trafficking — such as large sums of cash or baggies — could have to serve at least half of their prison sentence, depending on the prosecution. Dealers who prove that they are selling to support a habit could be probated into treatment. High-volume dealers: Selling between 2 grams and 100 grams still constitutes a Class C felony, but now convicts would have to serve at least have of their sentence. Selling 100 grams or more would be a Class B felony, and again, dealers would have to serve half their sentence. Also, importing any amount of heroin for the purposes of trafficking would be a Class C felony. Treatment: Using savings from justice reforms enacted in 2011, the bill will provide more than $20 million each year in the next budget for treatment and other anti-drug efforts. It also channels $10 million toward those programs immediately and seeks to eliminate barriers to treatment. Needle exchanges: Local health departments would have a new option to create needle exchanges, allowing addicts to trade out dirty needles for clean ones. But health departments would first need approval from city and county government. Good Samaritan: Under a "good Samaritan" provision, people could seek medical help for overdose victims without fear of facing possession or paraphernalia charges. Naloxone: The bill would increase access to naloxone, a drug that can reverse the effects of an overdose and prevent it from turning fatal. Pharmacists would now be able to prescribe naloxone to addicts and families of addicts to keep on hand. House and Senate lawmakers said Tuesday that the final deal represents a compromise for both chambers. In particular, the Senate had argued for making all heroin sales a Class C felony while the House said that change would roll back "smart-on-crime" justice reforms from 2011. Some Republicans also signaled that they were only willing to agree to the needle exchange provision because it was paired with tougher sentences for traffickers. But House Democrats say the exchanges are essential to stemming a wave of blood borne illness. In the end, Republican Sen. Chris McDaniel, who sponsored the Senate's original version of the bill, said the final agreement "does exactly what we want" in increasing penalties for dealers and treatment for addicts. "If traffickers aren't on the street, they aren't killing people with heroin," McDaniel said. "We've always maintained that you can't be soft on crime. You've got to deal with these dealers in a strict manner." House Judiciary Chairman John Tilley, a Democrat from Hopkinsville who sponsored the House version, called it a public health solution to a public health crisis. He said after three years of trying to pass a bill, the legislation has improved each time. Heroin continues to claim hundreds of lives in the state each year. 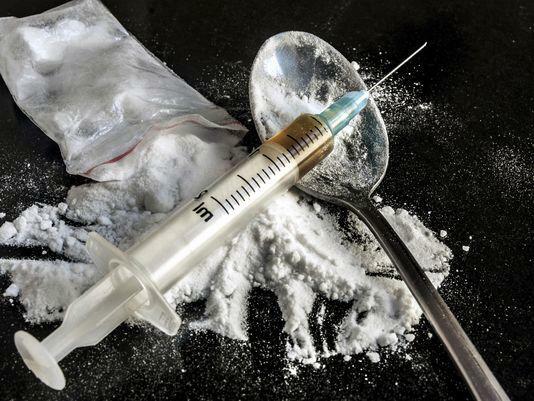 According to the Kentucky Office of Drug Control Policy, 230 of the 722 autopsied overdose deaths in 2013 were attributed to heroin — about 32 percent. Throughout this year's legislative session, grieving family members and former addicts have testified repeatedly about a lack of treatment options and the pain of losing a loved one. Wethington said Tuesday that, other than having him arrested, there were no tools to intervene in her son's addiction before his death. "The bottom line is this – people have to be alive to recover," she said. But some critics in the Senate cited concerns that needle exchanges will channel funds toward a program that many find morally wrong. Others argued that the penalties aren't strong enough. "We talk about education and messaging to our children," said Sen. John Schickel, R-Union. "What kind of crazy mixed message does this send?" The bill contains an emergency clause, which lets it take effect once it's signed by the governor. Beshear, in a statement, said Kentuckians can't wait another minute for the tools it provides. He praised the measure as being tough on traffickers while treating addicts with compassion. The General Assembly, scheduled to adjourn at midnight on Tuesday, drifted into Wednesday morning to take action on key bills that remained pending.